move to San Diego in order to further his rap career, creating a number of connections that he would later use to his advantage. 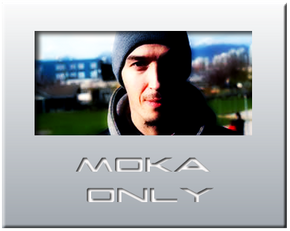 Upon moving back to Canada in 1995 and taking up residence in Vancouver, Moka met Mad Child, and along with K-Prevail, now just Prevail, the three emcees founded Swollen Members one night at a Denny’s, with Moka coining their multiple meaning name. However, a group dynamic was not for Moka and he soon moved on to a solo career.